Ouch! Take that, EV doubters. It’s one thing for a fresh new electric vehicle startup like Tesla to rock the world of personal mobility. It’s quite another when iconic US manufacturers — you know, the ones that made America great 50 or 100 years ago — walk the EV walk. 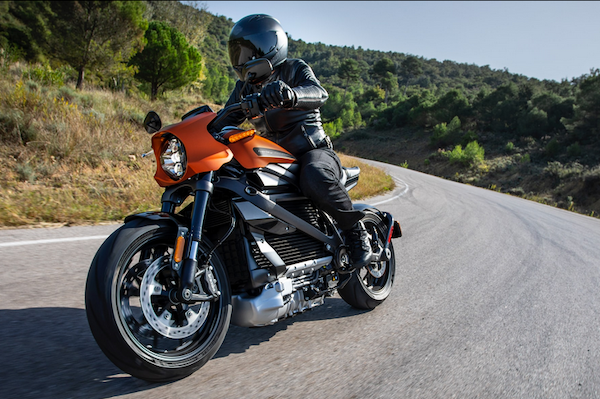 In the latest development, yesterday the legendary Harley-Davidson company jumped into the world of electric motorcycles with the launch of pre-orders for its new 2020 LiveWire at the Consumer Electronics Show in Las Vegas. That’s just for starters. 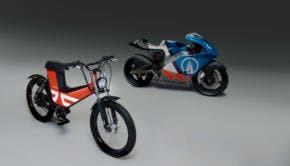 Harley-Davidson also showcased new concepts for lightweight electric motorcycles and other two-wheelers at CES, indicating that it expects healthy interest in two-wheeled electric mobility of all kinds. How healthy? Let’s take a look at the pitch. For a company that made its name on burning gasoline to the unique tune of two pistons and one pin, Harley-Davidson sure seems in a hurry to vault into the all-electric future of motorcycles. Harley-Davidson first teased the Livewire back in 2014, so this has been a long time coming. Now that it’s here, it really is here. We’re at a historic juncture in the evolution of mobility, and Harley-Davidson is at the forefront. Innovation that moves the body and soul has always been at the heart of our brand, and this next chapter in our history is about creating products and opportunities for existing and aspiring riders of all ages and walks of life. Keep in mind that Harley-Davidson can trace its roots back to 1903, and you can see what a significant break with the past this is. Amazing acceleration: From 0 to 60 mph in under 3.5 seconds. Twist-and-go ease of use: Electric power requires no clutch and no gear shifting, greatly simplifying operation for new riders. The LiveWire motorcycle is equipped with H-D™ Connect, which pairs motorcycle riders with their bikes through an LTE-enabled Telematics Control Unit coupled with connectivity and cloud services using the latest version of the Harley-Davidson™ App. Don’t forget the regenerative braking! The H-D Connect thing also lets you get all the latest news about your two-wheeler on your phone, including battery status, range, charging station location, service reminders, tampering alerts and theft tracking. The LiveWire model is designed to produce a new signature Harley-Davidson sound as it accelerates and gains speed. This new futuristic sound represents the smooth, electric power of the LiveWire motorcycle. As for the concept two-wheelers, that’s a clear indication Harley is zeroing in on the urban market. Aside the whole thing about Harley gasmobile buyers aging out, President* Trump’s new tariffs are motivating the company to look beyond its US base and carve out a bigger space in overseas. Our friends over at Electrek spotted the artwork for not two or three (as previously reported) but four new all-electric Harley concept two-wheelers at CES: an e-bike, a lightweight motorcycle, a moped, and a dirt bike. Okay, so that last item is more for the non-urban crowd, but still. The company is billing them as important elements in the “More Roads to Harley-Davidson plan,” which basically acknowledges that, yes, younger gasmobile buyers are not stepping up to replace the heart-and-soul generation of Harley gasmobile buyers. In the next few years, Harley will release more than a dozen motorcycles, many of them small, lightweight, even electric. The new Harleys are intended to reverse years of declining sales and appeal to a new rider: young, urban, and not necessarily American. Harley wants international riders to be half its business in the next 10 years. Our vision for the future is all encompassing. For all ages, from urban professional to exurban retiree, and from commute-minded to thrill-seeking, we are creating the products and opportunities for existing and aspiring riders to feel the transformative power of the two-wheeled riding experience. As another hint that Harley-Davidson is looking to the all-electric future, last March the company teamed up with the startup Alta Motors. That venture fell apart when Alta disappeared, but in September Harley-Davidson opened a new R&D center in San Francisco. Want a LiveWire? Find a dealer and pre-order LiveWire at h-d.com/LiveWire. Meanwhile, considering all the back-and-forth over trade wars and tariffs during Trump’s tenure in the White House, you may be wondering where Harley plans to manufacture the LiveWire. That’s a good question! CleanTechnica is reaching out to the company for more details, so stay tuned. Photo (screenshot, cropped): Via Harley-Davidson.